5th phrase and last Union Parishad Election 2016 held on May 28, 2016. Total Union Parishad: 717, Wining chairmans position are: AL – 455, BNP- 52, JP-6, Others: 3., Independent: 131. Total number of Death are 12 from Jamalpur, Chittagong, Noakhali, Comilla, Panchagarh & Narayanganj. 4th Phrase Union Parishad Election 2016 in Bangladesh : Total Winning Charimens for the main political parties: AL – 197, BNP – 15, Independent – 66. At least 5 people have died and some injured in clashes and attacks during voting in 4th phrase union parishad election (UP) in Rajshahi’s Bagmara, Narsinghdi’s Raipura, Thakurgaon’s Baliadangi & Comilla’s Brahmanparha on May 7, 2016. – more thank 11 million voters. – Total Voting Centers: 727. – There were 3,245 persons for chairman, 24,287 for general member, 7,159 for women reserved seats. – More than 0.1 million polling officials, 0.15 million police, rab and other security personnel. Union Parishad Election 2016 for 3rd phrase was held on April 23, 2016 in 614 union parishads across the country. Polls violence left 1 dead in Pabna and more than 200 injured in 10 districts of Bangladesh. The injured include 11 journalists & 4 policemen, 2 of whom were hit by bullets. The third phase Union Parishad Election in Bangladesh held for 650 positions on April 23, 2016, Fourth Union Parishad Election in Bangladesh will be held for 713 Chairman positions on May 7, 2016, and in another 714 unions polls will be held on May 28, 2016. 2nd phase union parishad eleciton results Number of Chairman Candidates win Awami Leagure Al – 420 Chairmans BNP Chairmans : 52 Independent and Others : 123 Chairmans. Union Parishad Election in Bangladesh for second phase concluded on March 31, 2016. Voting has started for more than 6000 polling stations at 8 am and continued till 4pm. 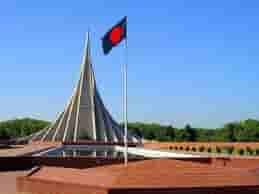 This is the 1st time in Bangladesh 17 political parties has nominated Candidates local government administration, Chairman and members. Awami League and BNP supporters clash outside at voting centre in Arifpur Govt Primary School polling station in Comilla. 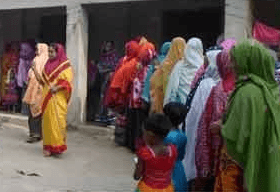 4 people, including an assistant presiding officer have been arrested at the Churamonkathi govt Primary School centre in Jessore. A man, Rakibul Islam has died during a clash between the supporters of AL and BNP at Polling station in Malandaha Upazila of Jamalpur. 3 people died in Chittagong when police fire in defence after supporters of an independate candidate Zillur Rahman atacked Char Bauria Govt PRimary school at 4pm. Shubho Kazi was shot by ruling parter supports in a Madhurchar govt primary school Polling station in Keranigonj at 9:30am. A hawker was killed in Jessore in clashes between supporters of two rival candidates in Chanchra union under Sadar upazila. 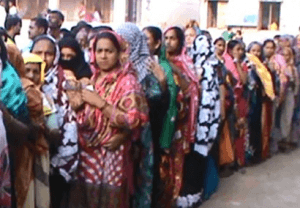 Second Phase Union Parishad Election in Bangladesh. Second Phase Union Parishad Election was held on March 31, 2016. 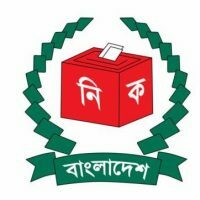 Total 30419 candidates contested for Chairman Post at 639 Union Councils across Bangladesh. Total number of voters are 110,00000, approximately half of them women. There are total polling centers are 6205. Bangladesh Awami Leaguer (AL) has nominated 639 Chairman candidates and BNP nominited 560. Independent Chairman candidates are 1169. First Phase Union Parishad Election in Bangladesh. The First Phase Union Parishad Election was held on March 22, 2016. Total number of union council were 712. Awami League Chairman Candidates won in 540 Unions, The BNP Chairman Candidates in 47 unions. Independent candidates won in 103 unions. 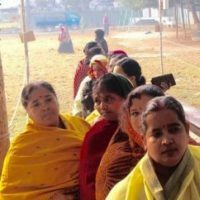 Election Commission announcement Union Parishad Election Schedule The Election Commission on February 11 , 2016 had announced the polls schedule at 4,279 Union Parishads. The third phase Union Parishad Election in Bangladesh will be held for 650 positions on April 23, 2016, Fourth Union Parishad Election in Bangladesh will be held for 713 Chairman positions on May 7, 2016, and in another 714 unions polls will be held on May 28, 2016.